There are whale hunts and then there are whale hunts. 11 capital mining ships in a single op surely makes for a memorable afternoon, on either side of the playing field. 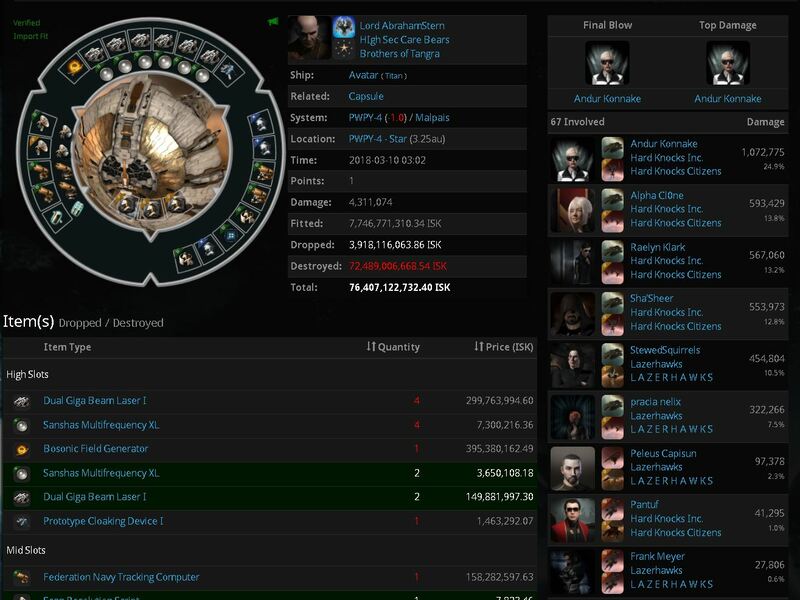 Disaster struck last Wednesday for Shadow of xXDEATHXx, members of the Drone Regions Federation, in 5ED-4E when over 11 Rorqual Capital Industrial Ships fell victim to the hands of Hard Knocks Inc. and L A Z E R H A W K S., who secured the resounding victory in Loki’s and Supercarriers. In light of the solid and at times, ferocious, defense reported on during last year’s GOTG deployment into the dronelands, does the loss of so many capital assets in one sitting suggest something amiss? While difficult to collect solid data, whispers were received from little birds on both sides downplaying the entire incident in rather intriguing ways. On the one hand, that there’s really nothing amiss as bigger slaughters happen all the time. That spies will be spies and good spies can produce very one sided fights. Also, when renters don’t read intel natural selection will always take its course. While losses even of this magnitude would likely cripple a small Alliance, it isn’t too difficult for an organisation as large as Shadow of xXDeathXx, backed up by the vast Drone Regions Federation, to replace them. Whether they, or any entity residing in the dronelands could do so for very long if such one-sided fights became a regularity is a different question altogether.